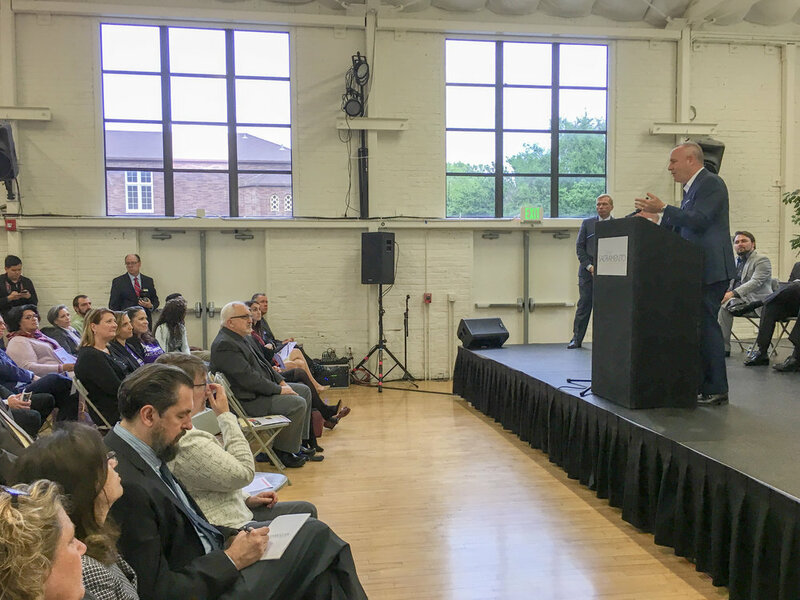 Arts and education leaders from throughout Sacramento County joined Mayor Steinberg and Councilman Steve Hansen at CLARA Midtown on May 16 to announce a new partnership to restore arts education in county schools. The Sacramento Arts Education Consortium has already raised $250,000. It will use that money to hire a fund developer who will raise money for arts education and help school districts hire arts coordinators and teachers. The consortium is a partnership between the Sacramento County Office of Education, the Office of Mayor Darrell Steinberg, the Sacramento Metropolitan Arts Commission (SMAC), the Friends of SMAC, the Sacramento Region Community Foundation and the 13 school districts in Sacramento County. Mayor Steinberg said the goal is to provide a minimum of 60 to 90 minutes of arts instruction each week to area students, and also to train regular classroom teachers on how to integrate arts into all subjects. Read The Sacramento Bee story about the initiative.